The Tennessean.com covers an on location shot starring role in ABC’s TV drama ‘Nashville’. 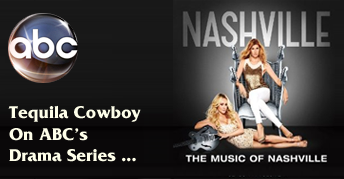 The music of “Nashville” has been as much a star on the hourlong ABC drama with Connie Britton. The episode was shot in the lower Broadway’s Tequila Cowboy. 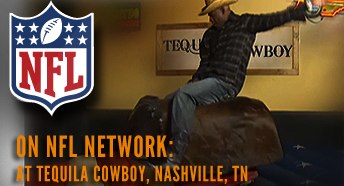 The Thursday Night Kickoff Crew Goes Bull Riding in Nashville: Rich Eisen, Marshall Faulk, and Deion Sanders are all in Nashville for Thursday Night Football, and they all try their luck on a mechanical bull to see who can stay on the longest.